Camera loaded this morning so these are 6 more Beads on a String blocks. Which I love, even with a color combo I wouldn’t have put together. It makes me realize I need to practice what I preach about stepping out of your color box. I’m a better quilter for the challenge. 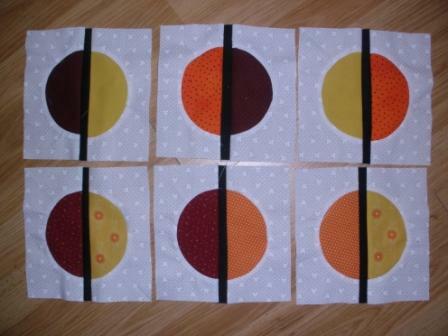 I do like the pieced circle technique, too. This block brought out that old favorite technique that I hadn’t used for a while.